The treasured golden oil of Baobab the ""Tree of Life"" only comes from Africa; the seeds from the Baobab fruits are cold press for its precious oil used for body and hair natural moisturizer. Most of Senegal's Baobab trees have been reported to be over 500 years old, with the oldest trees reaching the age of 5000 years and heights of 20 meters. The Baobab tree is Senegal, West Africa's national emblem and has always been an important part of the culture for locals and a vital source of food supplement. Local population in the natural habitat of the ""Tree of Life" utilizes all parts of the Baobab tree: bark, leaves, and fruit pulp are also used. The seed oil has a light, nutty, almost floral scent. Rich in vitamins A, D, E, and F and sterols, baobab oil absorbs quickly and is a wonderful oil to use for all types of skin treatments and products designed to moisturize dry hair. Baobab oil is extremely stable against rancidity. 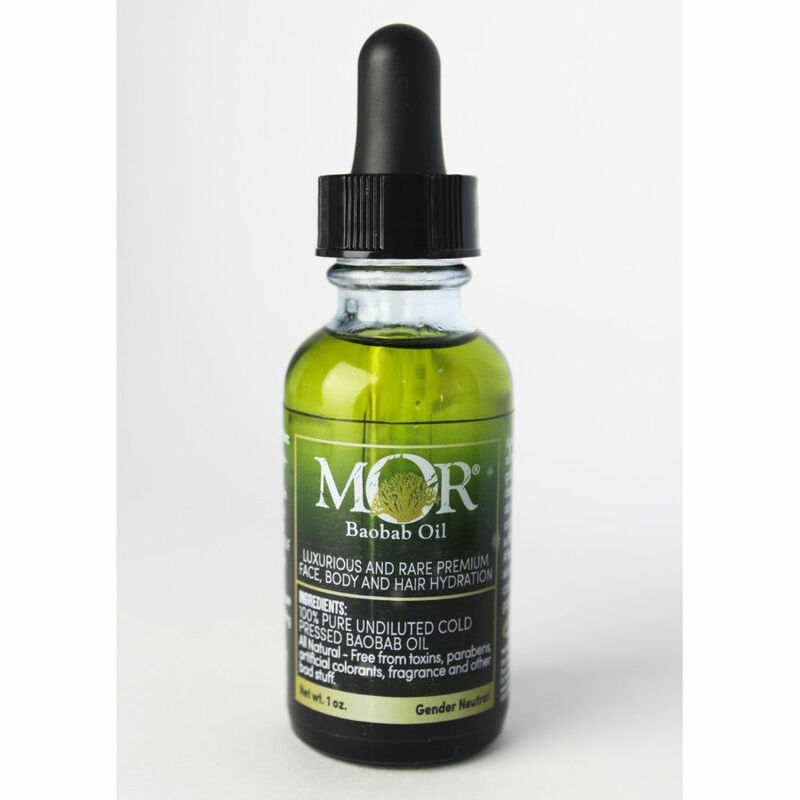 This cold pressed oil is rich in Vitamins as well as Omega 3, 6 & 9 Essential Fatty Acids (Vitamin F). Vitamin A: The vitamin necessary for healthy skin and minimizing the appearance of fine wrinkle lines. Vitamin D: Acts as a powerful antioxidant; preventing the premature aging of skin and damage to the skin structure. Vitamin D can be absorbed by the skin and may help supplement deficiency. Vitamin E is also an antioxidant. It can help prevent free radical damage. 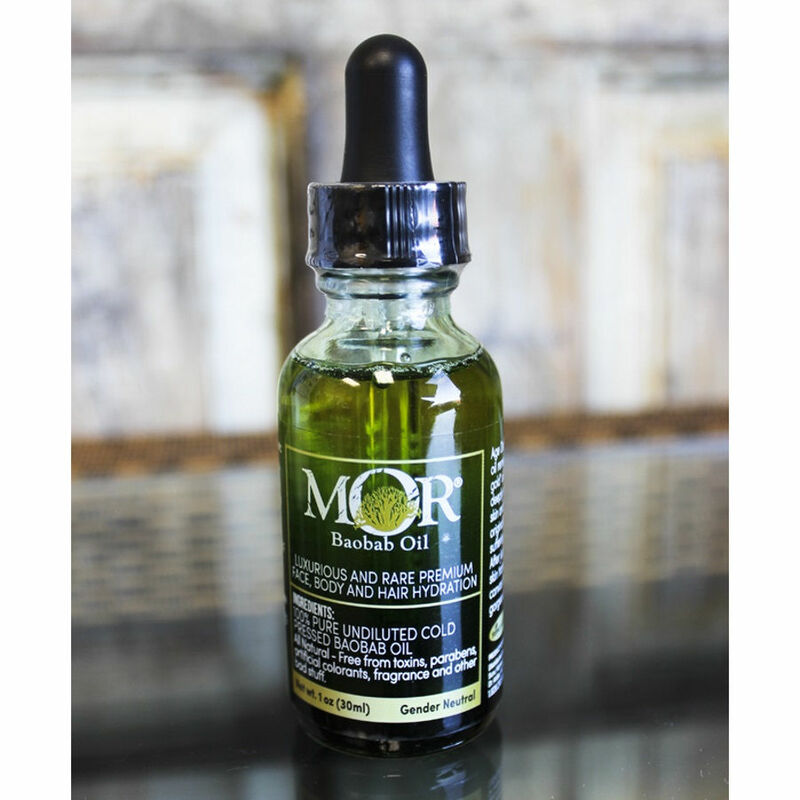 It is being used in more and more skin preparations as a way to fend off skin and hair damage. Omega 3, 6, & 9 Essential Fatty Acids are natural penetration enhancers due to their fluidizing effect on cell membranes. EFAs help improve the structure, function and appearance of aged skin and are extremely useful in anti-aging formulas. The local rural communities living in Senegal's protected Baobab forest reserves are involved in a fair trade practice and sustainable harvest as Baobab is a limited resource only from Africa to share with future generations. The MoR® brand promotes environmental, sustainability and social equity trade practices through our Fair Partnership model with local communities in Senegal. Baobab oil is mostly only used in small quantities in beauty products. 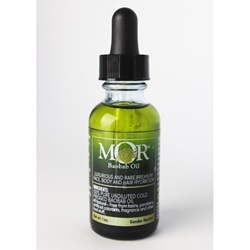 However MoR® has harness the perfect reliable source to be able to only provide 100% undiluted raw Baobab oil. Once the oil is carefully cold press it is delivered to our cGMP and organic certified facility in beautiful Western North Carolina where it is then packaged by experts. We care for the people who help us harvest the Baobab fruits and the people who use our oils, us being the only bridge in between.